This customer built a new home and turned to Neville Construction when he wanted a workshop adjacent to his house. This customer contacted Neville Construction to build a new 25,000 bushel bin, complete with a spiral staircase. This customer turned to Neville Construction when needing a building for his brand new business, a gun store in Cordova, NE . Neville Construction began in 1964. Dennis Neville, a farmer and cattleman, saw opportunity in the need for sturdy and well-built structures in agricultural operations throughout the Midwest. Dennis built his business on the rock-solid values of good old-fashioned Midwest work ethic, integrity, and teamwork, values that he keeps in mind today as he continues to direct the day-to-day operations of the company he founded. Neville Construction, LLC continues to flourish by maintaining high standards of excellence and customer service. Referrals from satisfied customers are the best measure of our success. 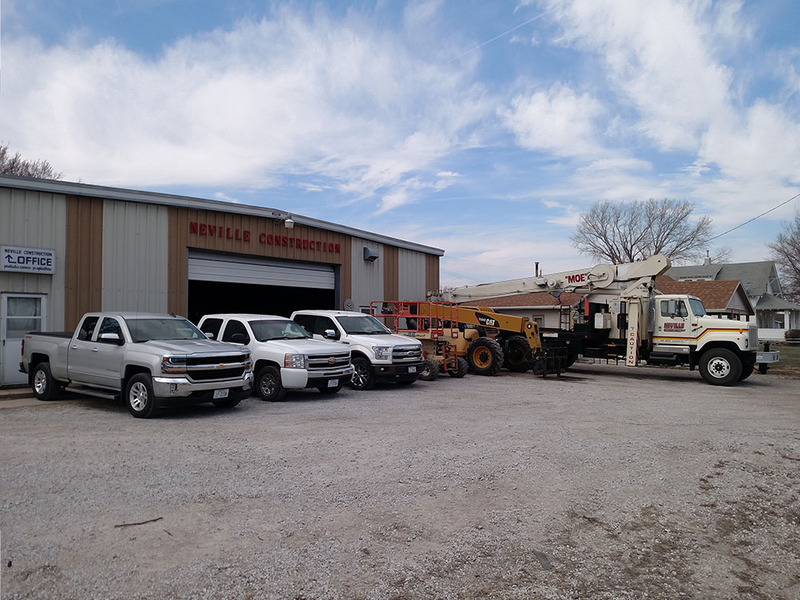 Neville Construction sells and erects Lester wood-frame and steel buildings, along with Butler all-steel buildings both designed to meet your agricultural, commercial, and residential building needs. We also offer Brock grain storage and management systems, as well as the crane equipment and operators needed for any heavy lifting that your project may require. We work with you through every step of the building process; from initial consultation and design, product selection, construction, and final inspection. Neville Construction was founded on the principle that a successful farm operation relies on the effective use of all resources. Rely on our 53 years of experience and professionally trained team to help your operation become more efficient and productive. The experts right here at Neville Construction, LLC are ready to help!